Located at the end of a sleepy Eastside lane this walled and gated property will surprise and delight you. The wrap around gardens are an oasis offering privacy on nearly one lush acre. There is an abundance of portals, patios and decks making outside living and entertaining spectacular! The original estate has a historical provenance evidenced by the authentic entrada, library and living room. This originality has been expanded to offer a grand atrium, all new kitchen, 3 bedrooms each with ensuite baths and a basement for storage or make it a wine cellar. The guest house is nearly as grand as the original home and can be accessed through the gardens or the main house. The guest house is 3 bedrooms each with ensuite baths, living room, dining and full kitchen. There is a large carport, a plumbed studio and a workshop as well as 8 or more off street parking spaces. This offering has astounding value and style. Gas Heat. None, Radiant, Baseboard, Fireplace. 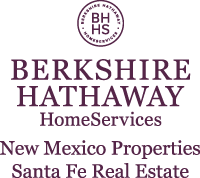 I am interested in 820 Camino Atalaya, Santa Fe, NM 87505. Sign up for Inside AccessTM to view recent sales near 820 Camino Atalaya.